Click on the cover image at left to read the issue online. Click here for a subscription. Reaches deep into this $25-billion market, with readers in both contract and self-op facilities. 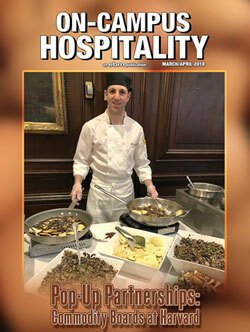 Keeps on target with must-read features on essential topics: food preparation, food courts, branded food service, campus cards, nutritional initiatives, foodservice equipment, recipes and contract feeding. Highlights market trends and details renovations in facility profiles. 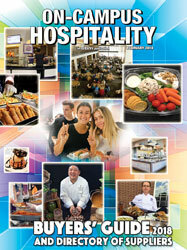 Focuses on solutions to foodservice issues and problems common to all campuses.